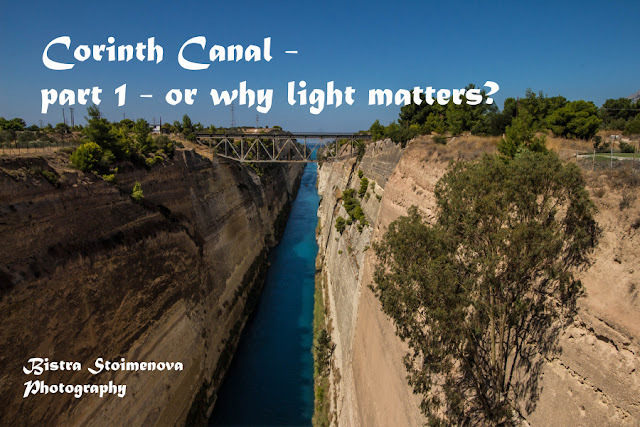 BistraStoimenovaPhotography: Corinth Canal - part 1 - or why light matters? I've been thinking a lot about what to write next in the Travelogues section and I kept coming up with one and the same idea - Corinth. Here we are - next topic is Corinth Canal or Korinthos Isthmos (or if we want to be exact - Ισθμός της Κορίνθου in Greek). The most logical question here is to ask - where is that on the map? If you are not interested in geography, history and you don't live on the Balkans, you probably have no idea. The answer is simple and it is GREECE. In case you don't know - Peloponnese is the biggest peninsula in Greece and the south-most part of mainland Greece. Don't worry - there will be a post about Peloponnese as a whole later on. 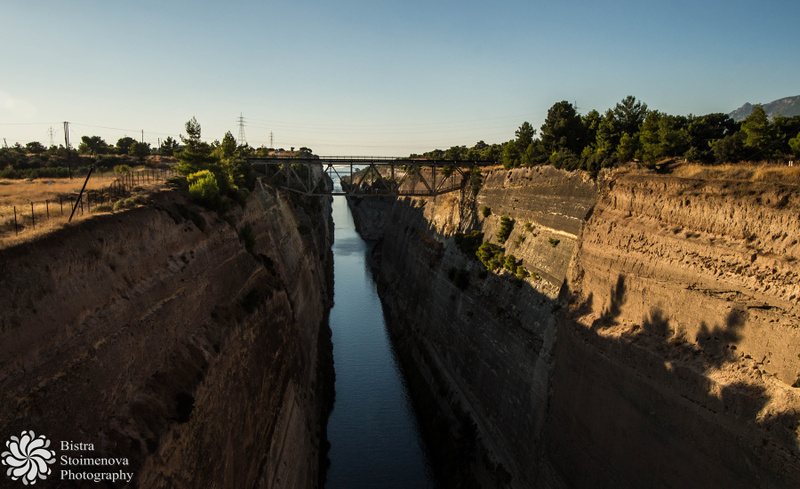 Corinth Canal is what separates the peninsula from the rest of Greece. A bit of history. How, why and when was the canal created? Before I went to Corinth, I thought that the canal was made in ancient times. 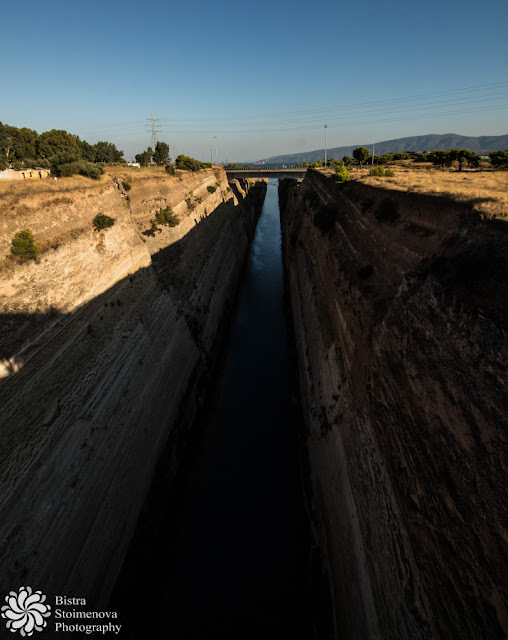 Turned out that in ancient times Corinth was one of the wealthiest towns in Greece but not because of the canal - it was the lack of it that made people so wealthy. 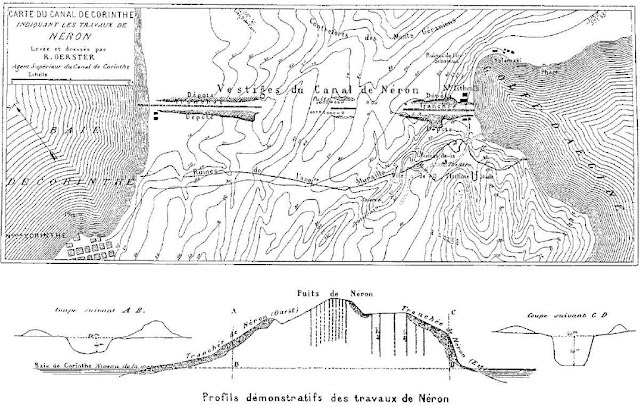 Corinth had two harbors - one of each side of the Isthmus - and ships used to be dragged from one to the other. Of course, Corinthians charged travelers for the service - even if you don't want to transport the whole ship across the land, luggage still had to be carried to the other harbor. The alternative was going around the island of Kythira and facing the danger of getting in one of it's notorious currents and storms. Most ships didn't want to risk that much. Things changed in the 19th century when Greece got its independence. 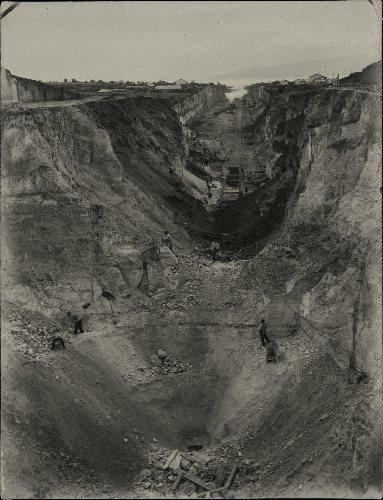 The Greek government asked a French company in the 1830s to dig it but the price - 40 million gold franks - was too high so the project was abandoned for a couple of decades. 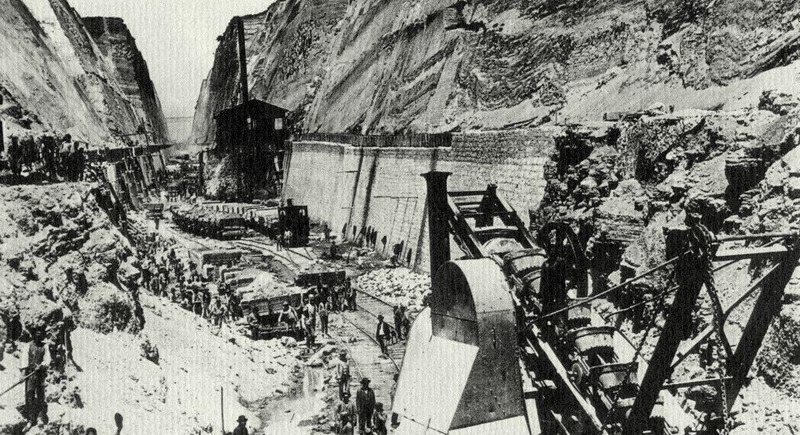 Then, in the 1880s another French company took the project. Before it was built, several companies and entrepreneurs got bankrupt before it was finally opened in 1893. Still, there were some problems. Problem 1 - the canal was too narrow which meant that big modern ships, which were just evolving back then, could not use it. Narrowness meant that there was a lot of wind in the canal itself. So many ships avoided it anyway. Problem 2 - the different tide time of the two seas on both sides of the canal which made it difficult to navigate and caused dangerous currents inside it. Problem 3 - Greece is a highly seismic region. The canal location is even more so. Besides - the rocks are of sedimentary nature and thus - are quite unstable. That meant a lot of landslides. Things didn't get better in the 20th century either - WWI and WWII did their job well to slow the traffic down to a trickle. Still, the canal is a wonder of the engineering mind and a spectacular place to visit. Route 1 - say you are traveling by car - you'll need the highway that goes to Athens first. 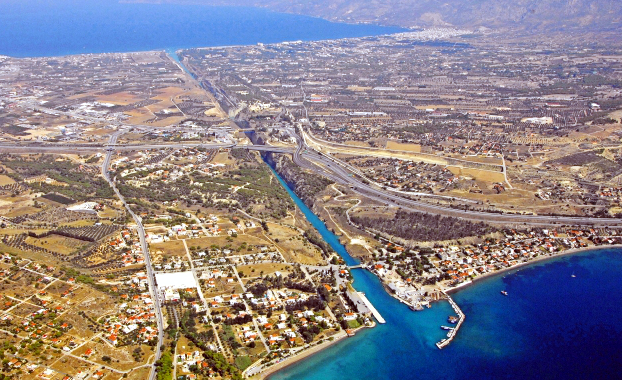 When you get to Athens the highway will fork - one part goes down to the gates at Piraeus and the other goes for Corinth. You need Corinth. The view from that part of the highway is really nice because you drive along the coast. Just follow the big green roadsigns (which will show the nearest town - in our case Corinth). The distance between Corinth and Athens is roughly 80 kilometers. Route 2 - get on a plane for Athens. When you get at Venizelos airport (aka. Athens' airport) you get a rent-a-car and follow the instructions from Route 1. What we did is to drive all the way from Sofia to Athens - which is 800 something kilometers (thank God for Greek highways!!!) and then to Corinth in one day (thank God the driver LOVES to drive!!!). How to find the canal??? If you have seen the pictures on the net (as I have) - you probably imagine a narrow and shallow little canal in the middle of a meadow. Truth is very far from that. The main traffic from mainland Greece to Peloponnese goes ABOVE it (I mean literally above it!!!) and you can see that it is DEEEEEP. REALLY DEEP. Once you get near the town of Corinth, there would be a big (you can't miss it, it is several meters wide) green road sign reading Korinthos Isthmos (in Greek and Latin alphabet). You take that turn RIGHT (if you are coming from Athens as we did) and then follow the main road that goes to Peloponnese. You need the main road that says Tripoli (the next bi town along the highway) or Nafplion (the nearest town in Peloponnese). There are NO other roadsigns indicating where the canal is once you enter Corinth. Guess it is because everybody knows it and if you ask, they will be happy to show it to you. Check out Google Streetview !!!!! to see where exactly you have to turn (LEFT, I think, if you are coming from Athens) for the parking and the viewpoint. There would be NO sign - if you are driving along the canal already, you have missed it. There is a big municipal one that is free of charge and you can buy souvenirs as well. There are no tickets for the view - after all - it is on the main road. 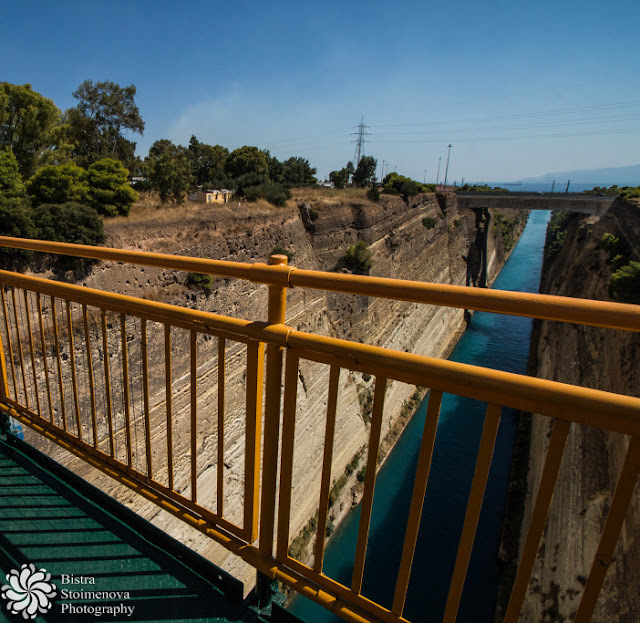 As I said above, the main traffic in and out Peloponnese goes ABOVE the deepest part of the canal (where all the pictures are taken). The bridge that houses the main road also houses the viewing platforms - that would allow you to peer around 70 meters down to the bottom of the canal and take a few photos of it. Problem 1 - when we went there one of the viewing platforms on the left/right hand side of the road (depends on the direction you are going) and which hosts the iconic view of the canal was closed. Problem 2 - The viewing platforms are NOT part of the bridge - they are metal constructions that are attached to the concrete base of the road - so all the vibrations from the traffic on the road are felt on the bridge. Trust me, if you watch the abyss below - that's not fun. Problem 3 - The platforms are fairly narrow so if you want to take a picture of yourself AND the canal WITHOUT having the railing and the platform in shot, you won't succeed. The other option is to hang on the main road and risk getting run over. Problem 4 - The road is REALLY busy - almost every minute you have a truck or a bus on it - so you cannot (even if you are such an idiot) stand in the middle of the road to get a better vantage point. When I saw the pictures of the canal I thought it is deep but when I was it in real life - my jaw dropped. I'd be honest - I'm afraid of heights. Well, I don't faint or something, but I don't like being that high. High buildings are OK, as long as I don't have to go on a balcony (which is another story). But walking over an around 70 meter abyss... is quite another matter. As I said, my jaw dropped!!! Problem 5 - By the time we got there (after a 10-hour drive from Sofia) it was already past 6 pm. That is not much of a problem but light is all about the view of the place. Main problem lies in the depth of the thing - the less light you get, the darker the bottom is. Water is only 8 meters deep so it is a lovely hue of blue when it is lit. In my case - it was dark as hell and I was furious. I've been dreaming about going there for a long time so I didn't want to miss it. The only resolution was to get back the next day when the light was right - which meant at midday when the light falls directly from above. That was despite the fact that we had to visit Mycenae and a few other archaeological sites. I hoped that I would be able to take the picture I want. About that - in a follow-up post! Posted by Bistra Stoimenova at 19:36 ч.